Mumbai: Naveen Pandey, 35, a Noida-based owner of a bearing making unit, is never far away from his computer workstation during market hours. He logs on to his online broker website and trades every day. “Earlier, it was a pain calling up brokers and placing orders," he says. “Now I can monitor market movement closely, listen to what the experts say on the television and make my call." In New Delhi, Behl, 29, who prefers to be identified by only his last name and works in one of the top management consulting firms, says he wants to keep his “money rolling". He calls himself “a trader in some high beta stocks", or very volatile ones, and keeps track of the market closely even as he helps companies manage operations efficiently. With small investors aggressively trading in the market, value investing or “buy and hold" seems to be a thing of the past. Indian investors are holding on to their purchases for shorter periods of time. 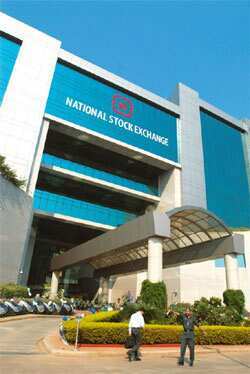 The average holding period of Nifty stocks—the 50 companies that comprise the National Stock Exchange’s key index—by Indian investors has dipped significantly in the past four years, driven by easier access to online trading technologies and market information. A greater proportion of institutional investments, both domestic and foreign, is also leading to a frequent churn in holdings, market observers said. In 2006, a share of a Nifty company typically changed hands once every 16 months. This calendar year, the average holding period has declined to 11 months. This approach is quite a contrast from that of billionaire investor Warren Buffett, who famously said that the best time to sell a stock is “never". This tenet of Buffet, named in a recent Bloomberg poll as the best assessor of financial markets, doesn’t seem to have much currency among Indian investors. However, this doesn’t take into account promoter trading. Also, it ignores the behaviour of traditional institutions such as the Life Insurance Corp. of India and the erstwhile Unit Trust of India, which tend to buy and hold for long periods. The erstwhile Unit Trust has been split into a mutual fund unit and a special investment unit that caters to investors in specific schemes. “Value investors account for only 10% of the market," said Parag Parikh, who runs a financial services firm named after him, and is the author of the book Value Investing and Behavioural Finance. “As for institutions, they are always timing and trading. (Retail investors) are always looking for tips, they see CNBC and start trading." Access to markets and related information has improved in the last 5-10 years. While dematerialization, or conversion of paper shares into electronic form, started in the beginning of this decade, the last five years have seen the emergence of at least half a dozen online brokerages. Although there are no industry-wide estimates, top online brokers have reported a doubling in the number of subscriptions in the past four years. ICICI Direct, a unit of ICICI Bank Ltd, said its customer base has risen to 1.9 million, while Sharekhan Ltd said its subscribers number 900,000. What has also helped is that the cost of transactions have come down for investors. Despite recent levies such as the securities transaction tax and service tax on brokerage, the cost of a transaction for a deliverable trade ranges between 0.25% and 0.75% of the value, according to Anup Bagchi, executive director at brokerage ICICI Securities Ltd. This was 2.5-3% before the introduction of online trading. Intra-day transactions, where positions are squared by the end of the trading session, are even cheaper at 0.05%, down from 0.15% five years ago, Bagchi said. Financial news is available from a variety of sources. There are at least six business news channels in English and Hindi and an equal number of financial newspapers in English, including Mint. The churn is also due to the private life insurance and mutual fund industries, whose fee structure incentivises the frequent churning of investor portfolios. The equity holdings of insurance firms amount to Rs2.8 trillion and that of mutual funds, Rs1.7 trillion. “In a market that is very volatile, that (churning of share holdings) is bound to happen," said Ved Prakash Chaturvedi, chief executive officer of Tata Asset Management Ltd, which manages some Rs20,000 crore. Indian stock prices have seen dizzying fluctuations in the past four years. The Sensex, the benchmark equity index, vaulted around 45% in both 2006 and 2007. The next year it plunged 52% before gaining 60% this year to date. While Mint couldn’t analyse data separately to study the behaviour of institutional investors, anecdotal evidence suggests that they too are increasingly churning shares. “Many of them (institutions) are alpha-seeking though there is no proof that greater churn yields better returns," said Jagannadham Thunuguntla, head of equities at Delhi-based SMC Capitals Ltd, which compiled the shareholding data for this story. The alpha of a stock or a fund refers to its excess return over a benchmark. Classic hedge funds use a so-called long-short strategy to generate alpha, for example, by buying auto company shares while shorting or selling steel company shares in anticipation of metal prices going down. Also, many fund managers are constrained by redemptions or inflows into their funds that may not coincide with the best time to buy or sell in the market. “The customer decides when I will buy and when I have to sell," said Nilesh Shah, deputy chief executive officer of ICICI Prudential Asset Management Co. Ltd, which manages Rs80,524 crore of assets. “When they decide to redeem, I have to necessarily sell even if isn’t the right time to do so."